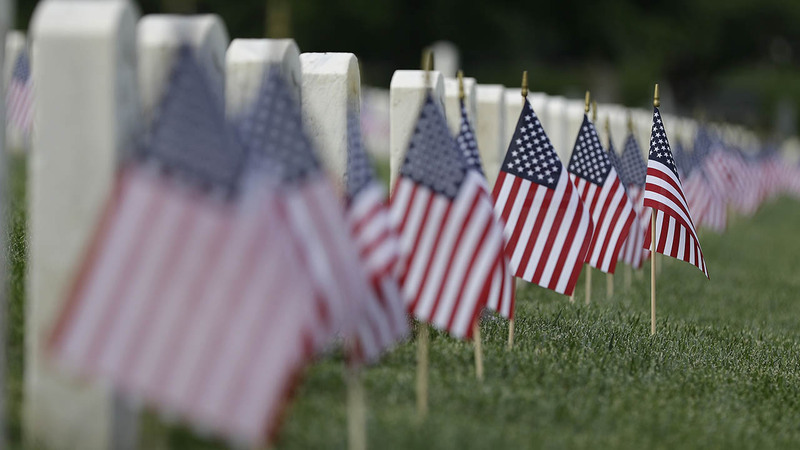 CHICAGO (WLS) -- Several Chicago area events will be held Monday for Memorial Day to honor those who died while serving our country. The Chicago Cultural Mile Association will host the annual ceremony, wreath-laying and re-dedication of the Gen. John A. Logan Monument. Cook County Board President Toni Preckwinkle will speak and ROTC students from Senn High School will provide color along with the rifle 21-gun salute. Music begins at 10:30 a.m., ceremony starts at 11 a.m. along Michigan Avenue at 9th Street in Grant Park in Chicago. Flag-raising ceremony at 6 a.m. at Baker Community center, 101 S. 2nd St. The Boy Scouts will be there as well as a honorary gun salute. At 10 a.m., a parade kicks off at 6th and Main Street and continues to Riverside Avenue. A special service will be held at 11 a.m. at the Freedom Shrine, just west of the police department located at 211 N. Riverside. From 11:30 a.m. to 1:30 p.m., a family picnic will be held at Pottawatomie Park Pavilion. Hanover Park's observance ceremony will feature the unveiling of a new statue of a military working dog. The village raised $25,000 for a metal cast of a German shepherd to honor all canines that have served the U.S. armed forces. In attendance will be the director of the U.S. War Dog Association chapter in Kokomo, Ind., who will be joined by his retired Army K9. The ceremony will be held at 10 a.m. at 2121 Lake St. The village will host a ceremony at 10 a.m. at the Edward "Doc" McCartan Veterans Memorial, 11 Montrose Dr. Mayor John Noak will speak and there will be a posting of colors from local high school students, as well as a presentation of wreaths. The two towns will team up for a joint observance. At 10 a.m., a ceremony will be held at the Hoffman Estates' Veterans Memorial site, 411 W. Higgins Rd. Immediately afterwards, a ceremony will be held at St. Peter Lutheran Church Cemetery, 202 E. Schaumburg Rd. Following the outdoor ceremony, the observance will culminate with a 50-minute indoor service beginning at 11:25 a.m. with a bagpiper, floral tribute, rifle salute and the sounding of taps. Bill Kelley, president of the Schaumburg-Hoffman Estates Rotary Club will serve as the master of ceremonies this year. Schaumburg Village President Al Larson and Hoffman Estates Mayor William McLeod will also offer remarks. Anti-war vets will gather at 11 a.m. at Chicago's Vietnam Veterans Memorial river level, near Wacker and Wabash. Iraq Veterans Against the War member Edgar Gonzales-Baeza will address the broader need for sanctuary for veterans and all those in danger of being deported. At the end, veterans and their supporters will throw flowers into the Chicago River in honor of those who have died. The event is sponsored By Vietnam Veterans Against the War and Iraq Veterans Against the War. On Sunday, a Memorial Mass was held for fallen soldiers. Memorial Day weekend events were held on Sunday to honor fallen soldiers.